Weaving out a test pattern. The warp comprises 6 colors. Warps are rolled on site. 4608 threads make up the entire width of the warp! 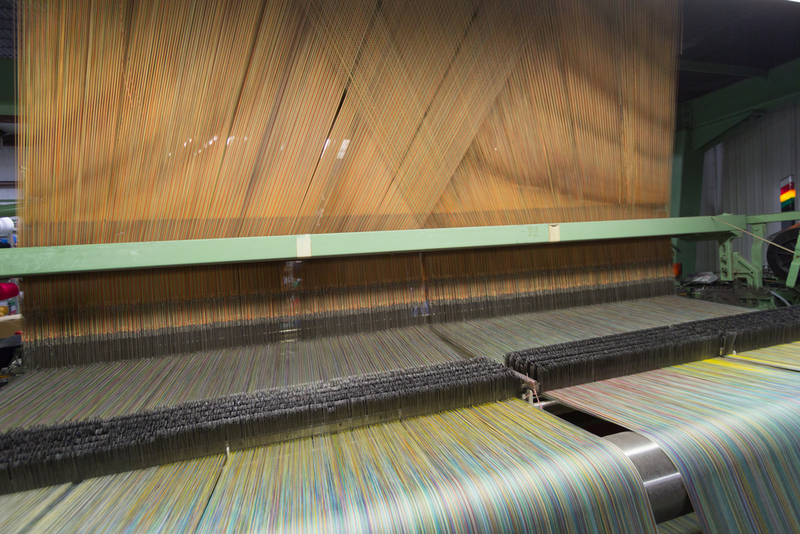 Glitch Textiles' woven throws are manufactured in the USA on computerized Jacquard looms through the Picture Weave department at Pure Country Weavers in Lynn, North Carolina. 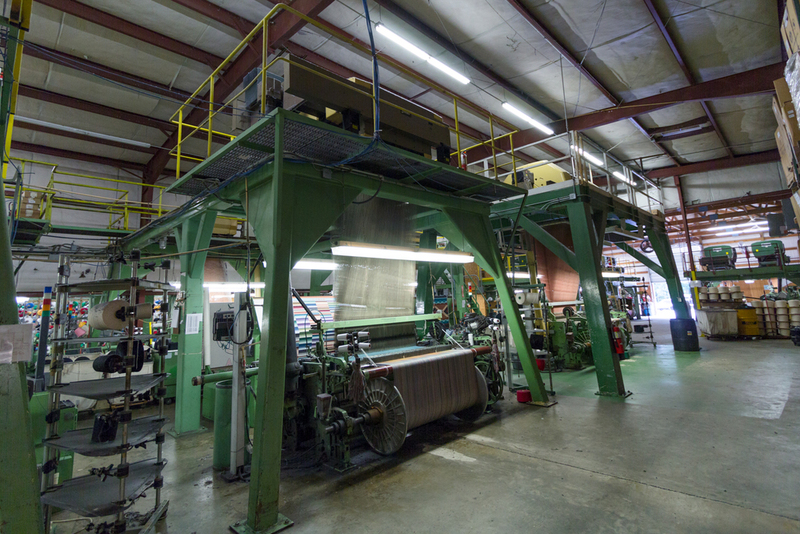 We recently had the privilege of visiting the mill to get a step by step tour of the process from digital design to woven fabric. Picture Weave is a form of print-on-demand service that gives individuals the ability to have their photos woven into 100% cotton throws and wall hangings. The process is 100% digital, which makes it the perfect platform for translating digital artwork into fabric. But all this says nothing about how cool these machines are and how mind blowing it is to see them in action. We hope you enjoy these behind the special scenes shots of the mill and can't wait to share some video with you in the near future!